Progressives have been lamenting the erosion of “democratic norms” in the Trump era, but they’d have more credibility if they didn’t trample constitutional norms in their own rush to run President Trump out of town. Start with Democratic Senator Mark Warner’s assertion on Fox News Sunday that Attorney General Jeff Sessions should play no role in vetting the next director of the Federal Bureau of Investigation. 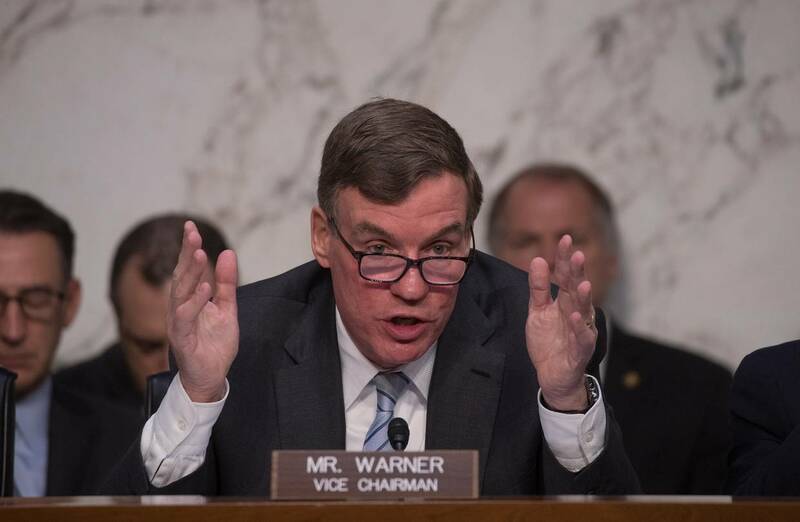 “I think it’s inappropriate that the attorney general, who was supposed to recuse himself for anything dealing with the Russian investigation, and clearly the Russian investigation is tied into who the next FBI director is going to be because the President fired [FBI director James] Comey because of his ties to the Russian investigation,” Mr. Warner said Sunday. Mr. Wallace didn’t follow-up, so we will. Mr. Sessions has recused himself from the Russia probe, but the FBI director reports to the Attorney General on hundreds of other matters beyond that one investigation. The AG has not recused himself from those matters. Mr. Warner seems to be saying that Mr. Sessions’s narrow recusal disqualifies him from supervising the FBI director at all. The same goes for the argument oft-heard this weekend that President Trump obstructed justice by dismissing Mr. Comey. Harvard professor Laurence Tribe became the first prominent progressive to say that Mr. Trump should be impeached for this act, and he won’t be the last. Mr. Tribe is offended that Mr. Trump said in an interview that he didn’t like the Russia probe and that was on his mind when he fired Mr. Comey. But this is an absurd standard. Presidents often disagree with decisions their deputies make, and sometimes they fire them for it. Are we supposed to believe that if a President opposes something an FBI director is doing, then a President can’t fire him? Mr. Tribe is establishing a standard by which an FBI director—or even an Attorney General—could never be fired. All a director would have to do is begin a single investigation that might affect the President, and then he would be liberated from supervision. This would de facto strip the President of his constitutional authority to supervise the executive branch. As for obstruction of justice, this is defined under federal law as a specific act that interferes with a pending judicial proceeding. A President offering an opinion, however ill-advised, on a counterintelligence investigation is not obstruction. Neither are stupid tweets. Genuine acts of obstruction include destroying evidence, intimidating witnesses, lying to the FBI or blocking investigators from doing their jobs. None of that has been alleged here, and Acting FBI director Andrew McCabe has said his agents are moving full-speed ahead with ample resources to do the job. If Democrats believe evidence exists to impeach the President, the proper venue for offering it is the House Judiciary Committee. No doubt that’s what they’ll do if they retake the majority in 2018. Meantime, they shouldn’t be allowed to deform the institutions of government to serve their partisan purposes. If they want to impeach Mr. Trump, they will have to follow American democratic norms.